The Condor Vanquish Armor System is our versatile plate carrier system designed to be customized to meet the needs of the operator.With our 'On-the-go' design, customization is the key to the success of this vest. The base vest is a compact, low profile platform that goes unnoticed under a loose fit jacket. With the ability to add various accessories, the platform can be configured quickly to meet the operator's needs in the field. 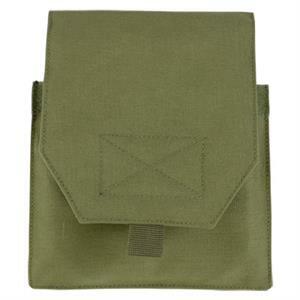 Condor Outdoor Products has over 20 years of experience in the tactical/outdoor gear industry; specializing in tactical gear including vests, plate carriers, modular pouches, and packs. They are a licensed Multicam and A-TACS dealer. Condor Outdoor gear has become a staple in law enforcement, military, and airsoft industries given its quality and affordable price. More recently they have expanded to making more of their products in the USA and have added a tactical apparel line, offering technical performance jackets, base layers, and pants. Condor Outdoor VAS Vanquish Armor System Modular Molle Panel with Hook & Loop and buckle attachment. Condor Outdoor VAS Vanquish Armor System Kangaroo Magazine Pouch Panel with Hook & Loop and buckle attachment. Condor Outdoor VAS Vanquish Armor System Recon Magazine Pouch Panel with Hook & Loop and buckle attachment.